Gulf Craft used Dubai International Boat Show (February 2018) to introduce its latest model, the 43 metre Majesty 140. This tri-deck motor yacht features a reverse-angled wheelhouse, which adds to the purposeful profile. 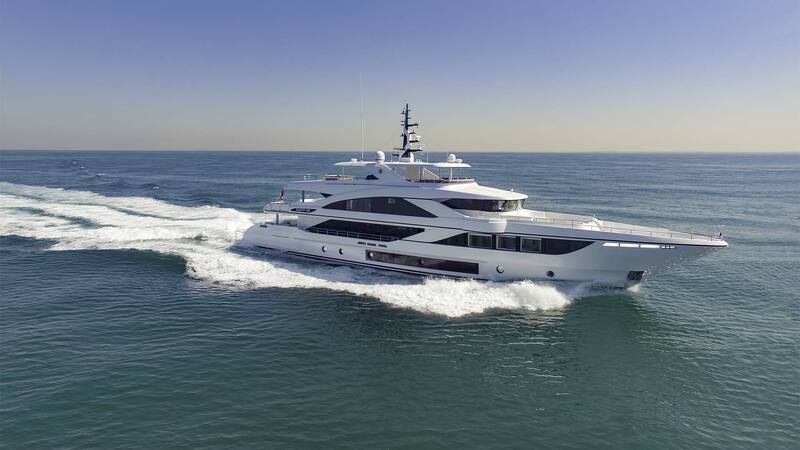 Accommodation on board the Gulf Craft Majesty 140 is for up to 12 guests in five cabins, including a main-deck owner’s suite complete with a fold-out superyacht balcony. Meanwhile, the crew quarters is split between the bow and the aft of the yacht — giving a total capacity of nine people.